If I was the queen of something, that must have been coziness. I’m not a fan of going out on a weekend or making fancy plans or dressing up, I rather stay home, put on some comfy clothes on, create a cozy atmosphere and spend most of my time on the couch for a well-deserved TV series catch up while munching on brie flavoured chips. Anyone has weekend plans that sound better than this?! And even on workdays I mostly crave that coziness around me. 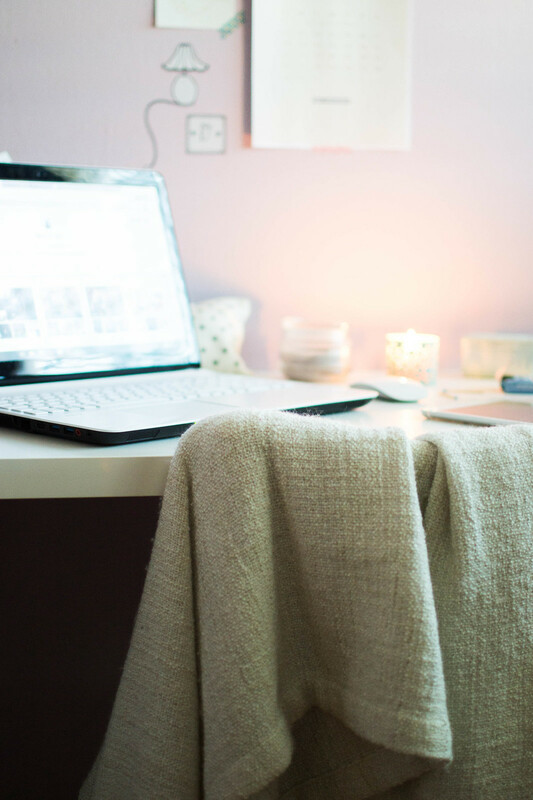 I know it’s better not to fall into the temptation of working in your PJs when you work from home, or that it’s important to have a place different from your bed to work from; but there’re always some nice little details that you can add to your workspace or office in these chilly days to make you feel at home, like on those cozy weekend nights in front of the TV but without giving up on a focusing on your work. Tea is the sweetest healthy treat you can ever ask for on a chilly winter day. Needless to say I’m a fan of all things tea, from tasting and trying new flavours, to the simple classical ritual of pouring, stirring and sipping. 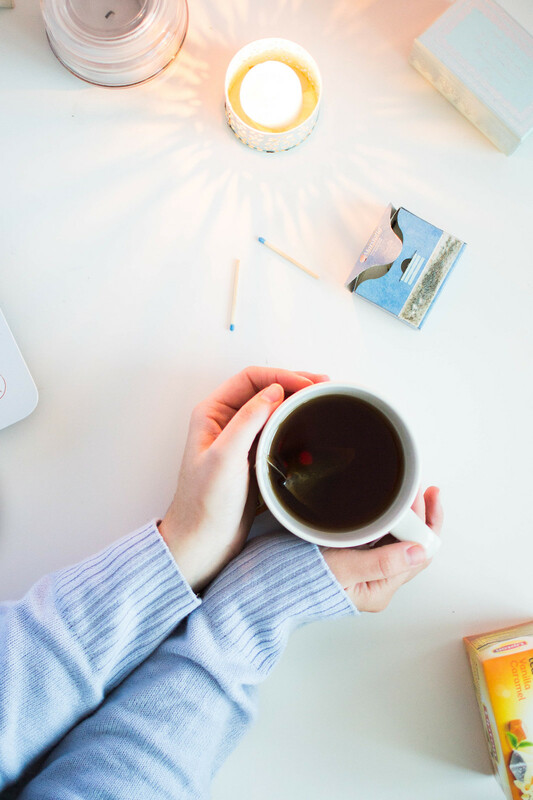 There’s no better thing than a hot cup of tea to warm you up when doing some boring laptop admin work. 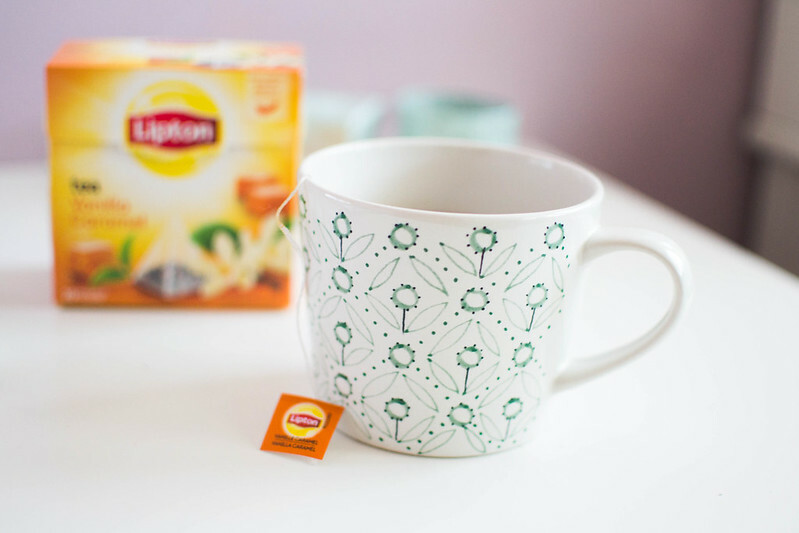 As for tea picks for this season, a part from the cutest festive-themed teas, an all time favourite of mine is the Lipton Vanilla & Caramel Tea – rich, intense, sweet… simply delicious! You know what, even though I’m not a fan of the heat in summertime, I’m super sensitive to the cold too (hence why I’m a mid-season lover!). Especially when working at my laptop, since I’m just sitting there without moving as much for hours sometimes, I do suffer the cold quite a lot. There’s anything cozier than a soft blanket to wrap you in when you feel like it anyway? I do love my IKEA GURLI Throw quite a lot! Let’s talk about candles, right? Because there’s not “how to get cozy” post without mentioning some! 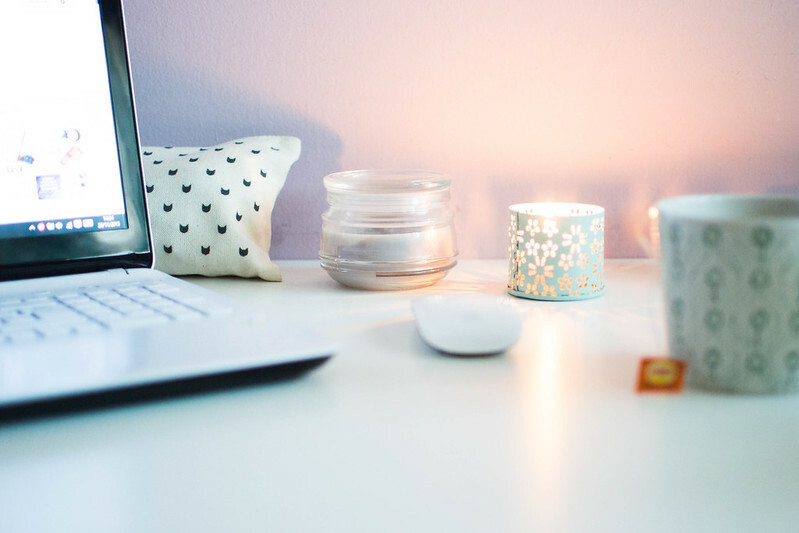 Not only they create the coziest suffused atmosphere, perfect for warming your workspace up with a simple gesture, but they also make the room/office smell festive/sweet/spicy/anything you most like! In this period of the year I’m a fan of all things festive and sweet – I love lighting up my Yankee Candle Christmas Cookie Votive Candle in any of my cute little H&M Metal Tealight Holder, but for an all-year-round pick my favourite must be the cheap (but so high quality!) IKEA LUGGA Vanilla Candle! 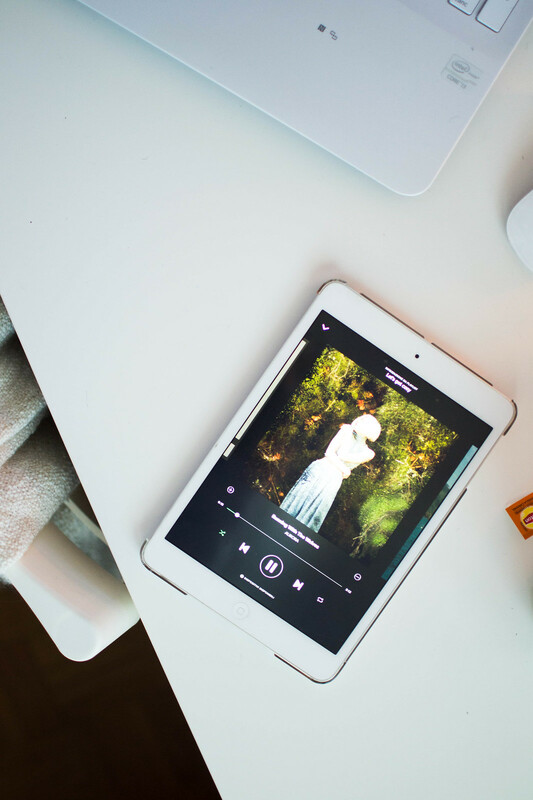 I never talk about music on this blog, it’s just that I’m not the biggest fan of it in any of its form – I mostly prefer silence! 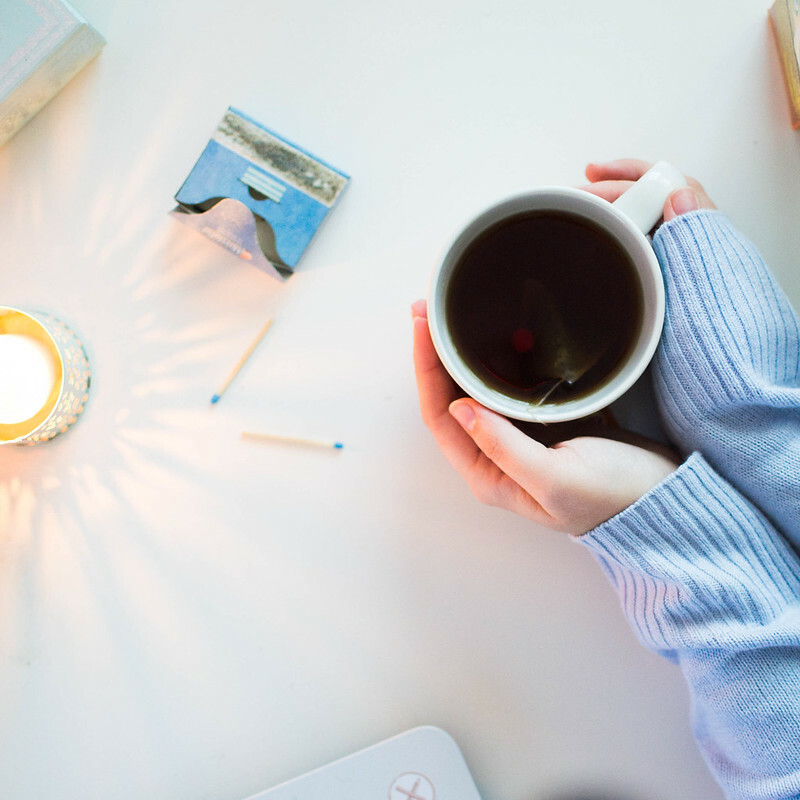 But there are periods when music, especially cozy relaxing chilling out music, can help me focus on the work I’m doing and I quite enjoy listening to it. This is one of those periods! 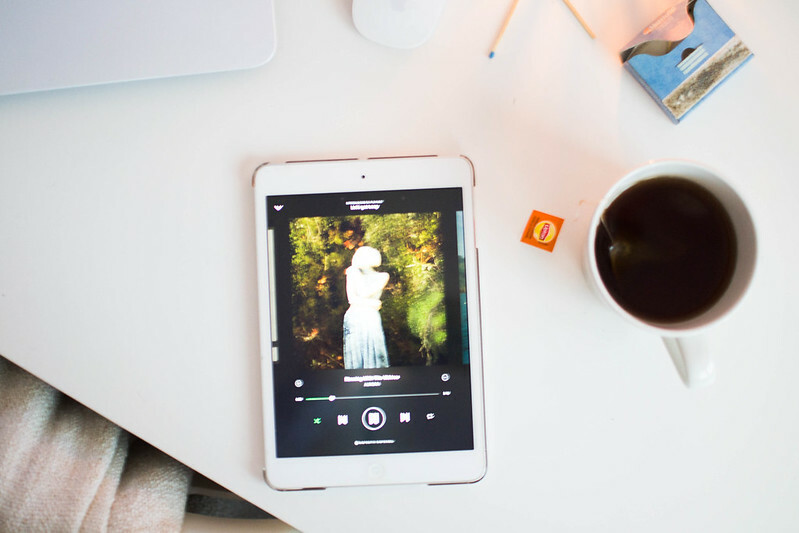 I’ve put together a little playlist of all cozy song I like to listen to in those occasions – they’re just random songs and I’m not sure I’d be capable of describing them with some adjectives so let’s just leave it there: Let’s get cozy Playlist. ‘Tis the season of all things cozy. Let’s get the best out of it! 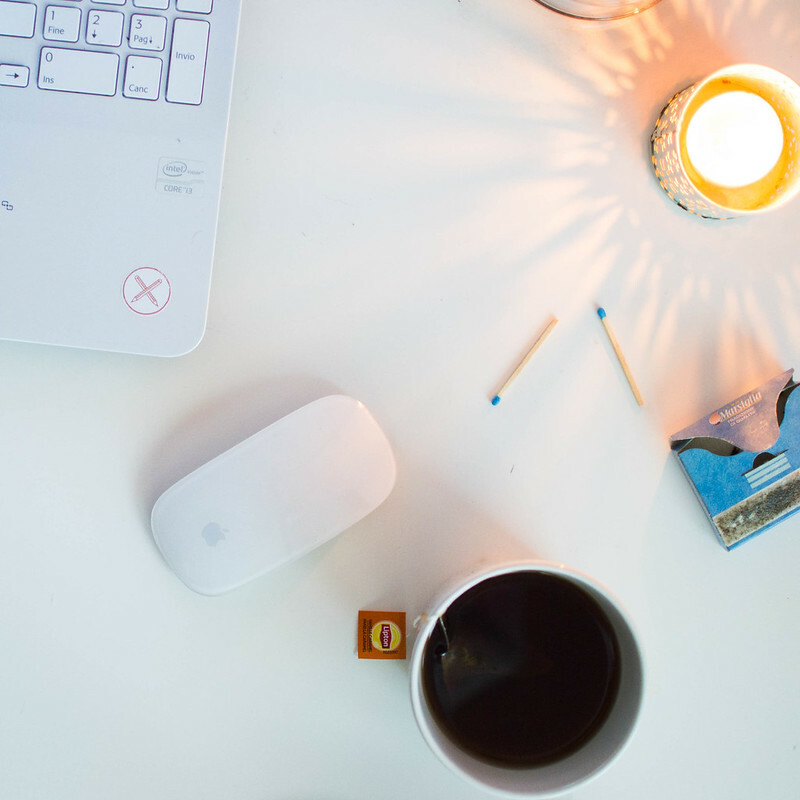 What’s your favourite way to make your workspace feel cozy?